This artwork accompanies the dark fantasy novella “Among the Thorns,” by Veronica Schanoes, published on Tor.com. the story takes place in seventeenth century Germany. It tells about a young woman who is intent on avenging the brutal murder of her peddler father many years earlier by a vagabond with a magic fiddle. 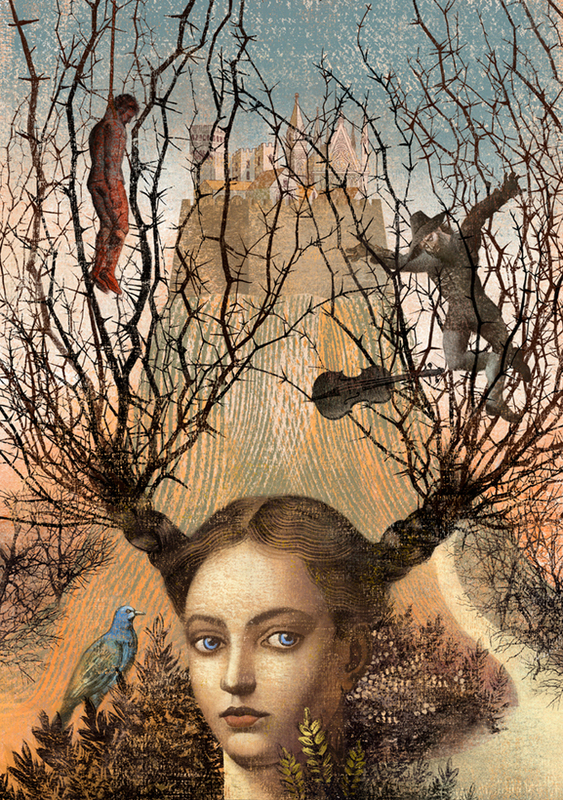 About our art, we imagined the young woman as a tree. Her hair are bushes with thorns that imprison the vagabond with the magic violin. The hanged man refers to brutal murder of her father. Our architectures references are the northern cities with Gothic spiers of the churches.